Hi WOW! Embossing powder fans, the Powder Puff girls are back to share some lovely projects with you today. My project recycles a couple of older supplies. I made a card and used one of the old metal words from Making Memories that was popular a few years ago. I took the Suzy West WOW bubble gum pink and embossed the word. 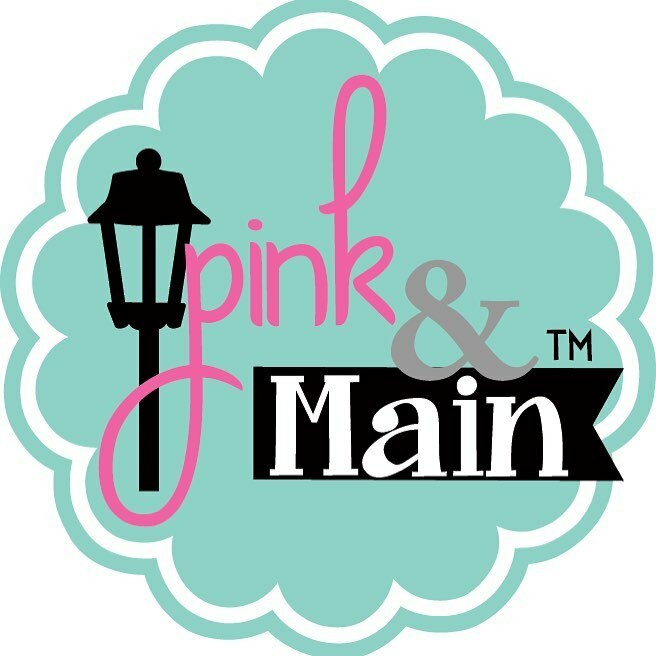 I also took some older scrap paper and embossed the pink edge with the same bubble gum pink powder. Then, I also took a Color Me Crazy white bloom by Petaloo and rubbed the embossing ink pad across the top and sprinkled the bubble gum powder on that too. For the leaves I took green cardstock and used the Call Me stamp and embossed it with the Susy West WOW Earthtone Olive, then handcut the leaves from it. The little blooms were just cut on my ECraft machine. Hey all! Tina here with a layout to share with you! I recently got a new shipment of WOW powders... and let me tell you... they are AMAZING!! They suit me to a "T"!! I created the large flowers using Spellbinders Siral Blossoms Three. Once assembled, I embossed the edges using the copper embossing powder. It really brings them to life! I had so much fun using the "Gratitude" stamp set. I was able to create a 3D flower by stamping and cutting out three sets of the flower petals then layering on top of each other. I used the border stamp along either side of the card to give it a little frame around the entire card. I was able to use the Suzy West - Serra Sunrise Embossing Glitter to pull all the colors together on the card. Thank you so much for stopping by the blog. Please leave a comment and let us know what you think of the great WOW! Embossing Powders and stamps. Hope you have an inspired day! Hello again! Today I am sharing with you my DT project using this month's colour inspiration. I used the butterfly stamp from the new WOW! 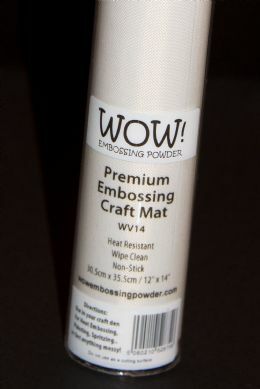 Embossing Powders Stamp Set Simply Amazing. I embossed each butterfly with different powders - Easter Sparkle, Pastel Pink, Pastel Blue, Purple Glow, Pastel Purple. Then I cut out each butterfly and mounted them onto the card. I took three buttons and embossed them in the same colours and added them to the butterflies. I used a WOW! Embossing Pen to make the dots on the card and then sprinkled over the different colour powders. The greeting is from the stamp set Love Beyond Measure. I simply poured over two colours of pastel powder at the same time to get the two tone effect. Don't forget there is still time to join in with this month's giveaway! If there's one thing you can do with embossing powder, it's upcycling. Upcycling is the new word for recycling, but instead of just reusing something to recycle it, upcycling is making it even better. Yes, there's a more technical explanation, but you get the idea. I used Ultra High Gold and Sierra Sunrise on this card. With an "upcycled" approach, I gave new life to some punches and layered several solid papers on top of a print. Then I used Ultra High Gold on my sentiment written with an embossing pen (heart) and also an upcycled heart charm. Sierra Sunrise graces the key with a touch of shine. Simple, yet elegant. Some time ago I saw Tim Holtz demonstrate this technique. I made a sample piece and stashed it away in my ideas folder for later. Much time passed until I decided to create this little book cover. I was aiming for a sort of medieval old book effect and the WOW! Powders helped to create this perfectly. 1, Using the Direct to Paper technique cover the grungepaper with Distress Ink, here I used Walnut Stain and Brushed Corduroy. 2. Once the paper is covered with ink, pour over the WOW! Ultra High Clear Powder and heat. 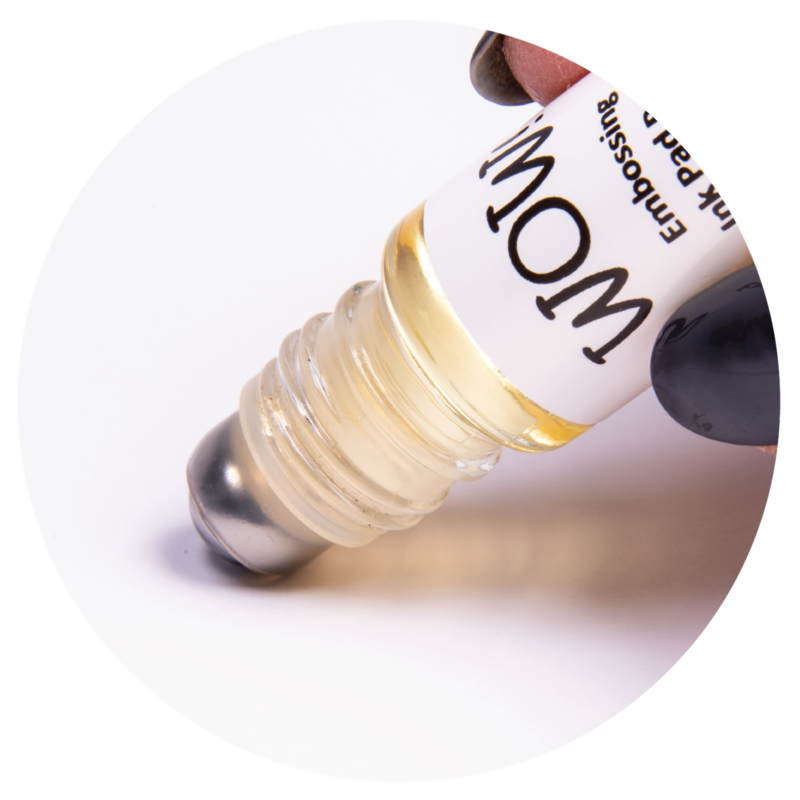 You need to do this quickly as the Distress Ink doesn't stay wet for long. For the flowers I stamped a medium weight card stock with one of the new large WOW stamps – a french music sheet(nice!! ), embossed it with metallic gold rich embossing powder and cut out scalloped circles. You can use a die cutting machine, a punch or simply use your scissors, it does not have to be very neat. I was trying to think of something to do other than a card since that is what I seem to do every time I need to post. So I decided to try something new using an old technique I learned years ago when I first started stamping. I know you've all seen all the candles done with tissue paper so they look like they have been stamped. I wanted to see what would happen if I stamped and embossed the tissue paper-I had no idea what would happen or if it would even turn out. Although it seemed to lose some of the embossed look-it retained the color and texture-actually some of the color bled onto the surrounding tissue paper when I was smoothing it out with a piece of wax paper to prevent finger prints. I think I will make several more and use them as a centerpiece. I finished it off with a piece of silk ribbon and some bling. Hello all, Donna here today. I hope you have been enjoying all the amazing projects that are being posted up on WOW. They truly are totally stunning. Today I am going to share a layout that I created using some YUMMY Neutral Ultra Shimmer, Embossing powders and some very cute 'Is it a bird' stamp set. Ink up the Wow! ‘Vintage Wallpaper’ Stamp using a clear pigment ink pad. Align the stamp with the wedding card outer and carefully press it onto the card. Without moving the stamp, firmly press all area’s down. Sprinkle Wow! Silver Pearl Embossing Powder over the stamped area and tap off excess onto a sheet of plain paper. Hold the heat gun 10cm away from the card and heat the powder until it turns glossy and leave to cool for a few minutes. Print the text for Insert 1 and Insert 2. Stamp and heat emboss the top section of each insert. (optional) Perforate a line just above the reply card section on Insert 2 to make it easier for people to reply. Print out personalised Wedding Invitation Tabs. Team Glitter Girls- Check us out! Hello Everyone! The glitter girls are back with another team post! We have been embossing and heating up a storm of powdery goodness this month! Grab a warm cup of tea, take a load off, and take a peek at what we have been up to! Lets start off with Jen Matott! I had this little basket from last Easter and decided it needed some flowers and butterflies to make it a spring decoration that can bring it through Easter.I used a foam insert to hot glue all the Origami and Cricut cut flowers.I stamped and cut each butterfly! I have it in my entryway and it's a breath ofsunshine even on the grey days! Isn't that the cutest thing you have seen!? This Recipe Is For . . . .
March Challenge and a winner! It's Your Lucky Day! Techniques Galore! Luxurious Wedding with WOW! Powders and Stamps!